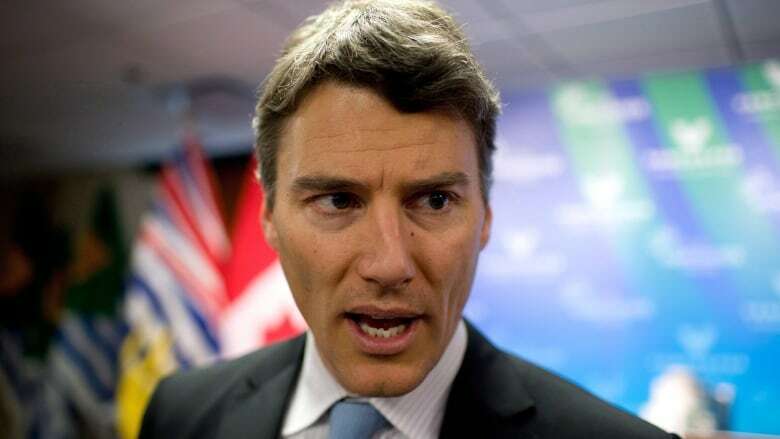 Vancouver mayor Gregor Robertson is making opposition to Kinder Morgan's oil pipeline expansion a key plank in his party's re-election strategy. Robertson outlined his position at a news conference Sunday as Vision Vancouver released its new environment platform entitled A Greener City. "The risk from an oil spill, even a minor one, would have a significant impact on Vancouver’s economy and our environment," says the document. "Our economic advantage is Vancouver’s pristine natural environment. It attracts talent and investment from around the world. The Kinder Morgan pipeline expansion puts all of it at risk — with no benefit to Vancouver." British Columbia municipalities go to the polls on Nov. 15 and Robertson and Vision Vancouver's environmental platform make Trans Mountain's expansion proposal a top priority. Robertson says opposing the pipeline will be one of the choices voters will make on election day. Under Robertson, the city has asked the Federal Court of Appeal for a judicial review of the federal energy regulator's process, saying the National Energy Board is refusing to consider Trans Mountain's impact on global climate change. Robertson's main rival for the city's top job — former journalist Kirk LaPointe — has not taken a position on the Kinder Morgan project, and criticized Robertson for declaring his opposition before a National Energy Board review is complete. “The NEB process is in place to review projects such as Kinder Morgan’s. Gregor Robertson has rejected it out of hand yet it has barely begun. That’s typical of his refusal to listen to viewpoints that differ from his own," said LaPointe in a statement issued on Sunday. “The NPA will protect our environment and responsibly grow our economy," he said.